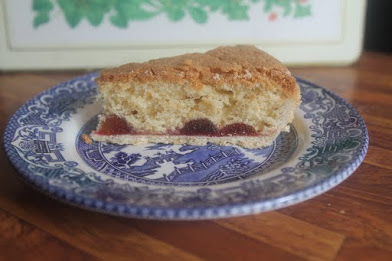 A Bakewell tart is a sweet pastry case with jam on the base then covered with a cake mixture, usually made with ground almonds and / or ground rice and then baked in the oven. 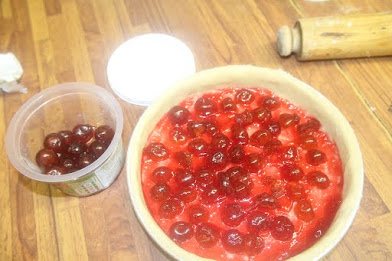 With this recipe glace cherries are put on the jam before the sponge. A few drops of almond essence. Oven 190 C, 375 F, gas mark 5. 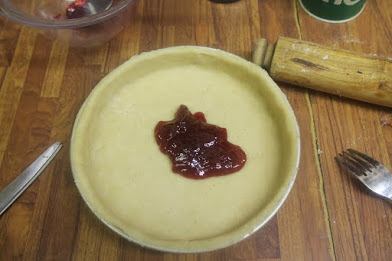 A greased 7″ flan tin. 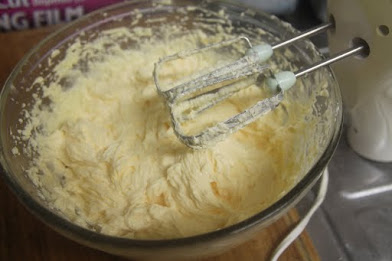 If you are using a mixer then put the butter and sugar into the bowl and mix until light and fluffy. Now either finish off making the cake mixture in your mixer by adding the well beaten egg and almond essence, then fold in the flour, ground almonds and ground rice with a figure of eight movement. You can enjoy this either hot with custard or cold with a nice cup of tea.